Our watchdog team researches products, alerts consumers when there is a problem and provides tools and resources so consumers can protect themselves. Tens of thousands of new products are introduced to the marketplace every year, and while consumers have access to more information about products than ever before, product reviews and online surveys rarely identify hidden hazards and risks that can be found in many of today’s products. ​ Our research found that makeup sold by Claire’s retail stores across the country is contaminated with asbestos. 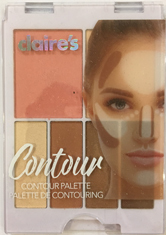 We’re calling on Claire’s to immediately recall the contaminated makeup products, and we’re pushing the FDA to conduct regular testing on makeup to ensure our products aren’t contaminated with asbestos. 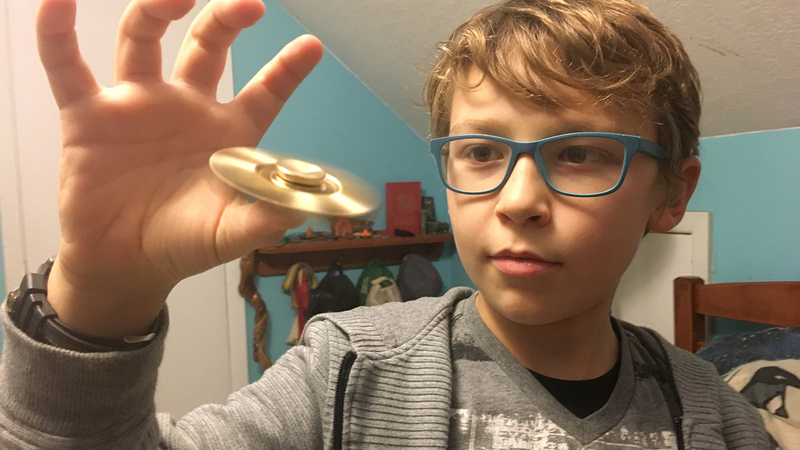 Our researchers found two fidget spinners sold by Target that had up to 300 times the legal limit for lead in children’s products. 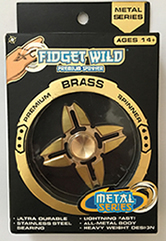 Within days of releasing our test results, Target removed the two fidget spinners from its shelves. Now, we’re pushing for a full recall. 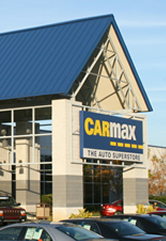 More than one in four vehicles, or about 27 percent of the cars surveyed at eight CarMax dealerships, had defects subject to safety recalls. Some of those vehicles had potentially lethal defects, including recalled airbags, and faulty switches. Both of these parts have been connected to fatal accidents. Our 32nd annual toy safety report found a new privacy threat posed by a data-collecting doll. 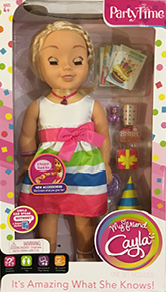 The My Friend Cayla doll, and others like it, collect personal information about kids, and upload it through an unsecured internet connection. This kind of device could put children’s privacy at risk. For decades, our Consumer Watchdog team has conducted independent testing and research to identify dangers that can pose risks to our health, safety or well-being. And we’ve worked to strengthen rules protecting consumers, get unsafe products taken off the market, and promote policies and develop resources to better equip consumers to protect their own interests. And we’ve had some success. We’ve helped to get toxic chemicals out of children’s art supplies, make prescription drugs safer and more affordable, helped to pass the nation's first auto Lemon Laws. Our research has led to recalls or other actions taken on over 150 dangerous toys and other children's projects. 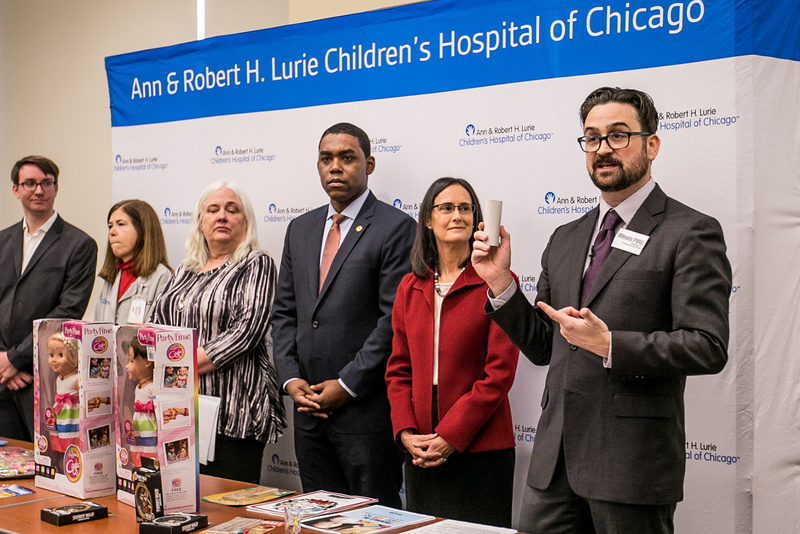 Illinois PIRG Education Fund State Director Abe Scarr, with Chicago doctors, child safety advocates and state Attorney General Lisa Madigan, releases our 2017 Trouble In Toyland report. Today’s internet-connected products pose new risks. Add to that the sheer volume of new products available, the ease with which we can purchase them, and changing materials and technologies, and it can be hard for people to protect themselves. In addition, the Trump administration is cutting funding for consumer programs and placing opponents of consumer protection in charge of the agencies we count on to enforce important protections, so there are fewer resources and weaker enforcement to protect consumers, leaving us more vulnerable in the marketplace. We need more independent testing, consumer education and targeted advocacy to preserve the protections we already have. That’s where you come in. Sign up for our consumer alerts, and spread the word about unsafe products to your friends, family and others.